Below are links to our fact sheets for both the state of Georgia and Alabama. 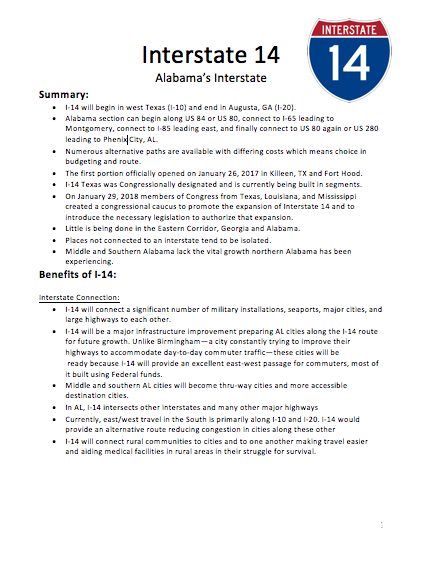 These fact sheets list and explain why Interstate-14 is beneficial and necessary for the future of these two states. 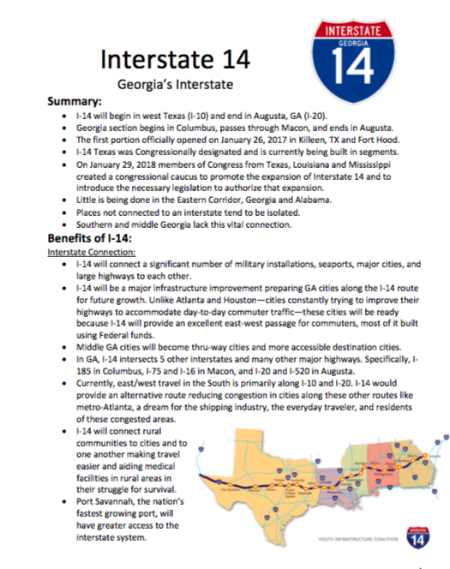 I-14 will only help to enhance all that these two regions have to offer.